One of the best laptops of the year now comes in two sizes, both equally sweet. 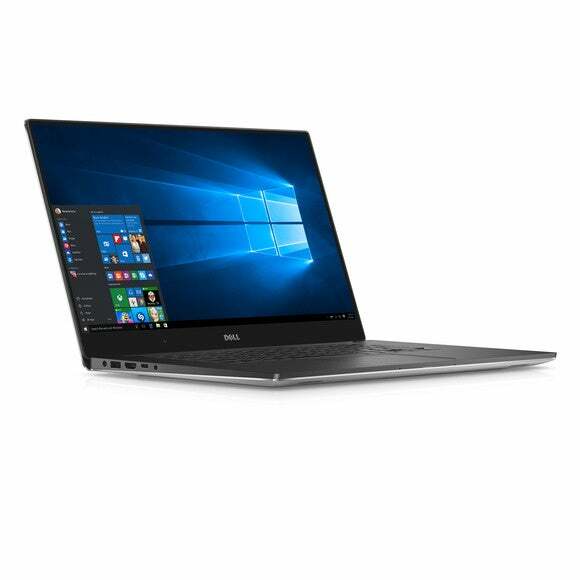 When Dell’s XPS 13 hit it out of the park, it was only a matter of time before the company applied the same winning formula to another laptop. That time came early Thursday, when the company unwrapped the XPS 15. 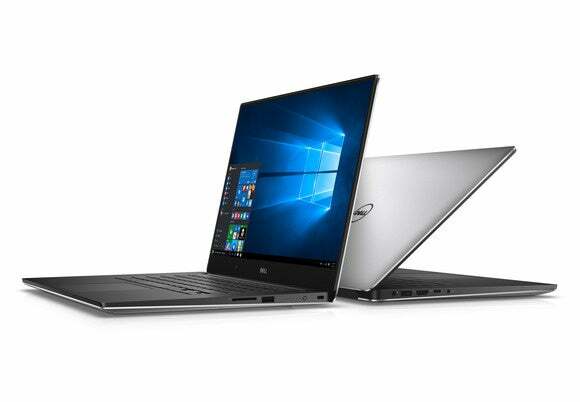 No surprise, the XPS 15 looks like a bigger XPS 13, with the same InfinityEdge superslim bezel that makes it the “smallest 15-inch on the planet,” according to Dell. Along with the bigger iteration, Dell also upgraded the entire product line to Intel's latest Skylake CPUs and built in a few more new toys. Why this matters: The XPS 13 was arguably one of the best Ultrabooks of this year. Adding the XPS 15 gives power users more screen real estate, but the new Skylake CPUs are the biggest and best news, for both performance and battery life. Yup, the XPS 15 is like a big XPS 13. Dell claims it’s the smallest 15-incher around. We essentially got a preview of the XPS 15 with the company’s Precision line, aimed at corporate users. Externally they’re nearly the same, but there are key differences inside. Intel’s latest Skylake CPU gets inside the entire product lineup, with the the dual-core Core i3-6100H in the base configuration. In the middle, you’ll get the quad-core Core i5-6300HQ, while the quad-core Core i7-6700HQ rides on top. For RAM, Dell skips the slower DDR3L in favor of DDR4, with up to 32GB of RAM. Graphics options include Intel integrated graphics or up to a GeForce GTX 960m with 2GB of GDDR5. Storage options include an M.2 PCIe SSD or a hybrid drive. The lid and bottom are brushed aluminum with the keyboard deck using carbon fiber weave. Dell said it’s particularly proud of the panel it uses, which varies from 1920x1080 to a full UHD 4K monitor. The 4K panel is an IGZO display that’s been certified to meet the 100-percent Adobe RGB color gamut. Dell said that means it’ll always meet the Adobe RGB color gamut, even at lower or higher brightness levels. Most Adobe RGB-rated panels use an average that hits the full gamut only at a certain brightness. The maximum brightness on the 4K XPS 15 will be 350 nits. For battery life, Dell says it’ll hit 11 to 16 hours on its internal tests. The nifty trick is the battery size. On units that use an M.2 SSD, the company uses the extra space from the empty drive bay for battery. The company said laptops with hard drives will come standard with a 56 watt-hour battery, while units with M.2 SSD drives get 84 watt-hour cells. The real surprise for the product line is full Thunderbolt 3.0. Dell integrated Intel’s Alpine Ridge Thunderbolt 3.0 controller, giving full USB 3.1 transfer speeds through a USB-C port. The XPS 15 will feature aggressive pricing down to $999, but there are compromises at that price. A thousand bucks gets you a dual-core Core i3, integrated graphics, 8GB of RAM, a 1920x1080 screen and a 500GB hard drive. Going to $1,200 gets you an upgrade to a quad-core Core i5 chip, 1920x1080 screen, GeForce graphics and a 1TB hybrid drive. You don’t get the Ultra HD until you get to $1,600, which nets you the quad-core Core i5 chip, hybrid hard drive and GeForce graphics. 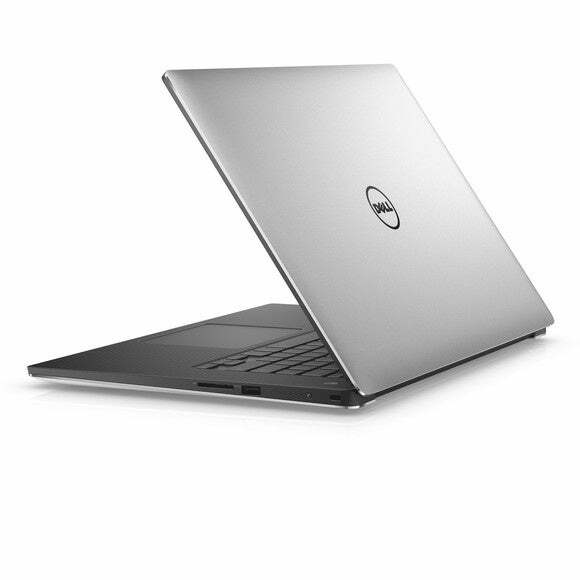 Dell says the XPS 15 will be 14.06 inches wide and 9.27 inches deep, varying from 0.45 to 0.66 inches at its thickest section. With the smaller battery it’ll weight about 3.9 pounds, 4.4 with the larger battery. Let the ruler contest begin. Apple’s current MacBook Pro is listed at 14.13 inches wide, 9.73 inches deep and 0.71 inches thick with a weight of 4.49 lbs. That’s kind of a wash in my book but maybe side-by-side it’ll seem different. The Dell’s panel is slightly bigger, at 15.6 inches vs. the MBP15’s 15.4. The updated XPS 13 gets Skylake and Thunderbolt 3.0 and yes, they do look alike don’t they? 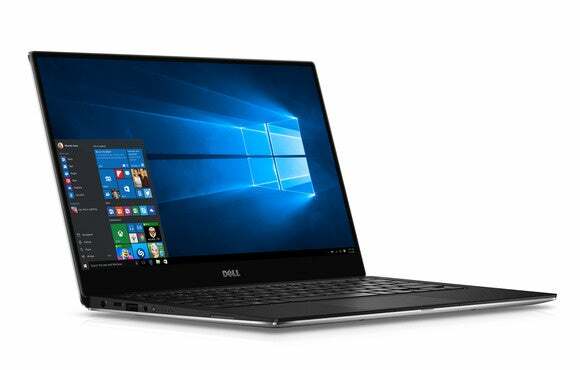 Dell gives some love to the much-admired XPS 13, but all the makeover is inside.The main one is the upgrade from Intel’s Broadwell CPU line to the latest Skylake CPU line. That means Core i5 and Core i7 dual-core CPUs. Another upgrade is out-of-the-box support for M.2 PCIe SSDs up to 1TB in capacity. Dell also increased the battery capacity slightly from 52 watt hours to 56 watt hours by using a denser battery. 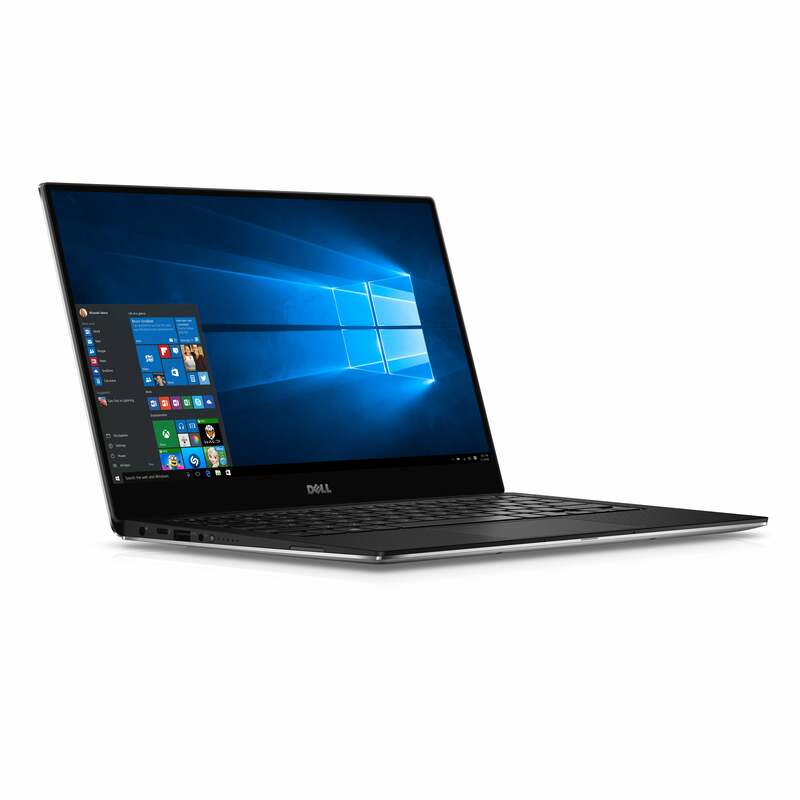 For the cherry on the sundae, Dell now says the XPS 13 can hit an 18-hour run time plus an additional 7 hours using its rechargeable power brick. How exactly Dell pulls this off and what the tests are I don’t know but it has my curiosity piqued. Are these internal tests? How bright was the screen? From my conversations with other OEMs, the battery boost from Broadwell to Skylake isn't much. We'll benchmark it as soon as we get a loaner unit.